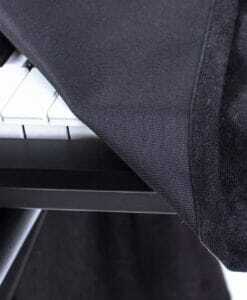 High-quality keyboard dust cover for NOVATION Bass Station II / 2. Available in Microfibre, Polyester or Synthetic Leather. 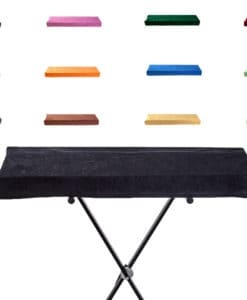 High-quality keyboard dust cover for NOVATION Bass Station. Available in Microfibre, Polyester or Synthetic Leather. High-quality keyboard dust cover for NOVATION Impulse 25. Available in Microfibre, Polyester or Synthetic Leather. High-quality keyboard dust cover for NOVATION Impulse 49. Available in Microfibre, Polyester or Synthetic Leather. High-quality keyboard dust cover for NOVATION Impulse 61. Available in Microfibre, Polyester or Synthetic Leather. High-quality keyboard dust cover for NOVATION Launch Key 25. Available in Microfibre, Polyester or Synthetic Leather. High-quality keyboard dust cover for NOVATION Launch Key 49. Available in Microfibre, Polyester or Synthetic Leather. High-quality keyboard dust cover for NOVATION Launch Key 61. Available in Microfibre, Polyester or Synthetic Leather. High-quality keyboard dust cover for NOVATION Launchkey Mini. Available in Microfibre, Polyester or Synthetic Leather. High-quality keyboard dust cover for NOVATION MiniNova . Available in Microfibre, Polyester or Synthetic Leather. High-quality keyboard dust cover for NOVATION Nockturn 25. Available in Microfibre, Polyester or Synthetic Leather. High-quality keyboard dust cover for NOVATION Nockturn 49. Available in Microfibre, Polyester or Synthetic Leather. High-quality keyboard dust cover for NOVATION SL Mk II 25. Available in Microfibre, Polyester or Synthetic Leather. High-quality keyboard dust cover for NOVATION SL Mk II 49. Available in Microfibre, Polyester or Synthetic Leather. High-quality keyboard dust cover for NOVATION SL Mk II 61. Available in Microfibre, Polyester or Synthetic Leather. High-quality keyboard dust cover for NOVATION Supernova 2. Available in Microfibre, Polyester or Synthetic Leather. High-quality keyboard dust cover for NOVATION UltraNova . Available in Microfibre, Polyester or Synthetic Leather. High-quality keyboard dust cover for NOVATION X Station 25. Available in Microfibre, Polyester or Synthetic Leather. High-quality keyboard dust cover for NOVATION X Station 49. Available in Microfibre, Polyester or Synthetic Leather. High-quality keyboard dust cover for NOVATION X Station 61. Available in Microfibre, Polyester or Synthetic Leather. High-quality keyboard dust cover for NOVATION Xiosynth 25. Available in Microfibre, Polyester or Synthetic Leather. High-quality keyboard dust cover for NOVATION Zero SL Mk II. Available in Microfibre, Polyester or Synthetic Leather.